Tora Garm-Fex belonged to the first generation of female journalists who became famous through their major and somewhat reckless foreign reporting activities. Tora Garm-Fex was born in 1890. She grew up in Vänersborg, initially living with her foster parents and subsequently with her single and unmarried mother. She attended school in Vänersborg, and graduated from the girls’ school there after completing her eighth year. Shortly before she became legally independent in November 1911 she received a favourable response from the county authorities regarding her application to take the surname Garm. However, there is no such surname registered in Sweden. It appears that she was attempting to create her own life and career after gaining her legal majority and thus chose her own name too, which she had culled from Nordic mythology. Garm was the name of the dog – or wolf – whose bark forewarned the arrival of Ragnarök. According to her own accounts Tora Garm-Fex spent the next two years working as a teacher at a co-educational school. This was most likely Trollhättan co-educational school which was not far from her hometown of Vänersborg. It was not unusual for people to start off as teachers before entering the sphere of journalism at this time, and consequently, during the autumn of 1914, Tora Garm-Fex began to write for Dagens Nyheter. In January 1915 she and her mother moved to Stockholm where Tora Garm-Fex was hired by Dagens Nyheter as a replacement for  (Ellen Rydelius) who was going on maternity leave following the birth of her daughter,  (Ria Wägner). 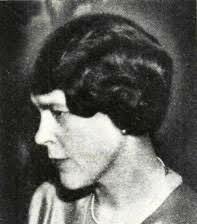 Initially Tora Garm-Fex was given the usual tasks handed out to female journalists, namely, translating the so-called ‘C-notices’ from overseas and observing life in Stockholm. The capital city, which remained neutral during the First World War, became a cosmopolitan place which received many foreign visitors and Tora Garm-Fex made many connections which proved themselves to be useful in her future career. At the start of the new year in 1918 Tora Garm-Fex got the idea to visit Petrograd (now St. Petersburg) in order to, as an on the spot observer, find out what was happening following the events of the previous year’s October revolution. Tora Garm-Fex herself suggested that she should make her way to Petrograd disguised as a Salvation Army officer in the company of a group from the Swedish Frälsningsarmé (Salvation Army) who had been given permission to operate in Petrograd. Dagens Nyheter’s editorial leadership were receptive to the idea and three days later she was en route by train via Haparanda and Torneå to Petrograd. Her contact was Zäta Höglund, who at that time was the chair of the newly-established Sveriges socialdemokratiska vänsterparti (the left-wing social democratic party of Sweden) and was also the editor of its youth organ Stormklockan. Through Höglund Tora Garm-Fex was able to meet Vladimir Lenin and speak to him and his wife Nadezhda Krupskaya and several others among the leading people’s commissioners, such as  (Alexandra Kollontai) and Anatoly Lunatjarski. She had also arranged – through an exiled Russian she had previously interviewed – to be accommodated in an ordinary Russian home throughout her month-long visit to Petrograd. This came to pass, even though the city was formally closed off to foreign journalists. Tora Garm-Fex’s reports were published on the front page of Dagens Nyheter and garnered great interest across the press. Her reports were also released in book format, namely in I bolsjevismens Petrograd, published in 1918. Zäta Höglund was, however, unhappy about what he saw as altogether overly critical and uninformed reports from a young hussy, as he put it in an open letter to Dagens Nyheter. We have no detailed information on what discussions were held amongst the editorial board as a result but some months later Tora Garm-Fex transferred to Vecko-Journalen, where she had previously worked on one-off pieces. She continued to supply reports from abroad for Vecko-Journalen, reporting from Berlin during its revolutionary period of 1918-1919. In the autumn of the same year she returned to the daily press by undertaking so-called correspondent trips on behalf of Stockholms Dagblad, including to Estonia during their war of independence 1919-1920. In 1922 she received a travel stipend awarded to female journalists and used it to study the press and women’s movement in Iceland. In 1921 Tora Garm-Fex married Filip Fex, a doctor. When he was appointed as town doctor to Söderhamn in 1924 Tora Garm-Fex gave up her career. They had three children together, including a set of twins, so from time to time she produced pieces for the likes of Söderhamns-Kuriren, Dagens Nyheter, and Vecko-Journalen, before the family moved to her husband’s home town of Lund. In 1965 Sveriges Radio aired a programme in which Tora Garm-Fex discussed her trip to Petrograd of almost half a century earlier. Tora Garm-Fex died in Lund in 1973. Tora Maria Rosine Garm-Fex, www.skbl.se/sv/artikel/ToraGarmFex, Svenskt kvinnobiografiskt lexikon (article by Kristina Lundgren), retrieved 2019-04-22.